The stories of these sixteen achievers will provide education, offer inspiration and promote aspiration in an easy to read format for young readers everywhere. What does it take to be a successful architect, lawyer, actuary, composer or inventor? What was the best advice ever given to one of the UK’s leading black medical consultants? These role models offer invaluable learning, not only about what it takes to succeed in their chosen careers, but also about their own journey, their influences, and the life lessons they have learned along the way. 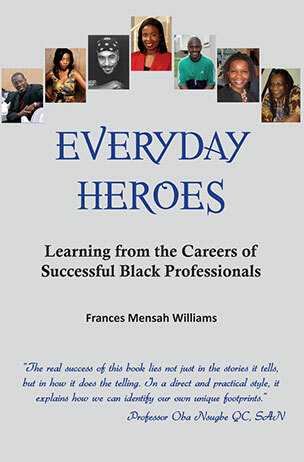 Complete with projects and exercises to help young people think about their own career aspirations, Everyday Heroes is an invaluable tool for schools, parents, youth groups and anyone involved in the career development of young people from ethnic minorities.